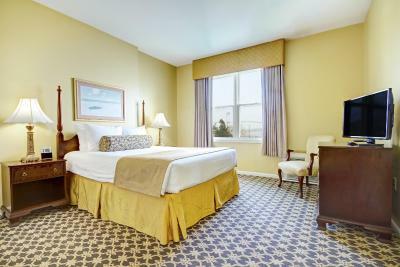 Lock in a great price for Wyndham Bay Voyage Inn – rated 8.9 by recent guests! This is a beautiful location with terrific views of the water and Pell Bridge. 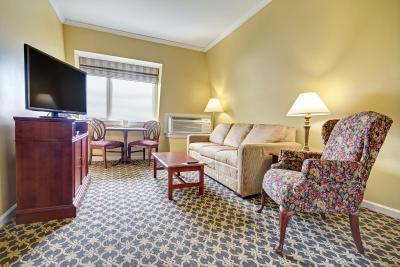 The room appears to have been recently overhauled with fresh paint and new furniture. It was very comfortable. Room was spacious and comfortable for me, my daughter and 10 month old grandchild. We never felt crowded or uncomfortable. Nice seating area, bedroom, closet and private bathroom. Kitchenette was well stocked. We were very happy with the amenities provided. Location was perfect ! Beautiful locally and accessible to all Rhode Island has to offer. The location was easy to access when going and coming. The view of the Newport bridge was fantastic especially at sunset. We know people in town who don't like the owner of the restaurant - I think it's separate from the hotel and we don't eat there. 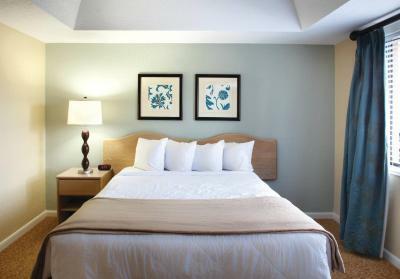 The room was comfortable and looked in great condition. The room was well cleaned before we arrived and while it was slightly cramped for 4 adults, the space was manageable. The property has an elevator which was helpful for my daughter who is in crutches. The facilities and atmosphere of the property was excellent. All facilities included in the room was of a high standard. I would recommend this property and hopefully return next year. 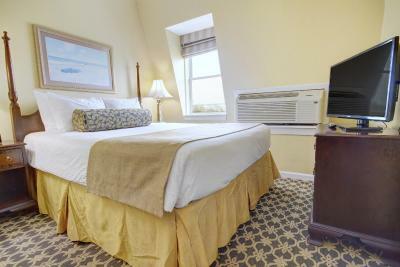 Excellent location, wonderful room, and great staff. 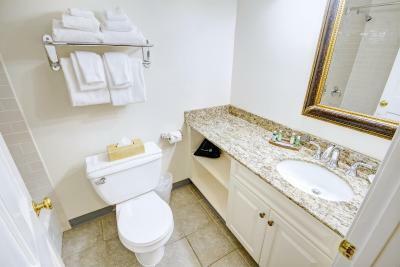 Wyndham Bay Voyage Inn This rating is a reflection of how the property compares to the industry standard when it comes to price, facilities and services available. It's based on a self-evaluation by the property. Use this rating to help choose your stay! 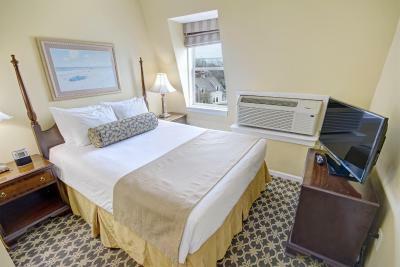 This beautiful resort hotel in Jamestown, Rhode Island overlooks Narrangansett Bay and is within walking distance of Jamestown Golf Course. 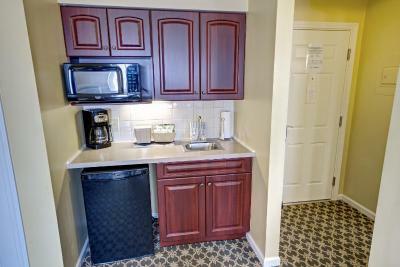 It features spacious suites with a refrigerator and free Wi-Fi. 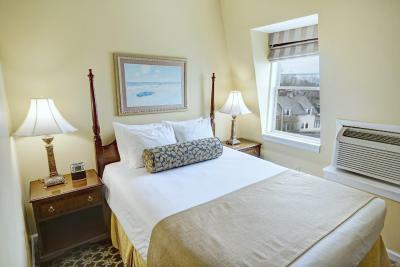 Wyndham Bay Voyage Inn is a Victorian-style, all-suite resort, decorated with rich, warm colors and dark wood furniture. 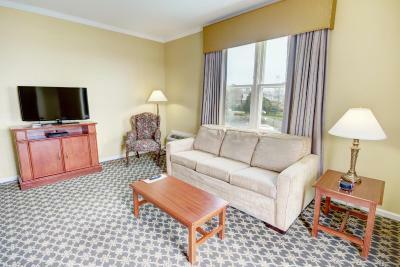 Each suite includes a separate living room with a cable TV, DVD player and sofa bed. 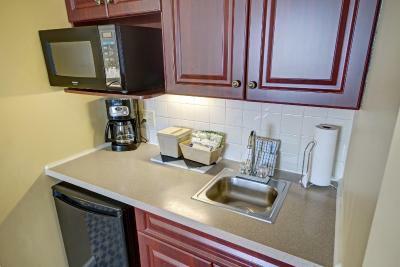 All suites also have a microwave and kitchenware for 4 people. Free access to the hotel gym, sauna and seasonal outdoor pool is provided to all guests of the Bay Voyage Wyndham. The 24-hour front desk will also provide guests with concierge services. Wyndham Bay Voyage is 10-minutes from the US Naval War Museum. Newport State Airport is 7.5 miles away. 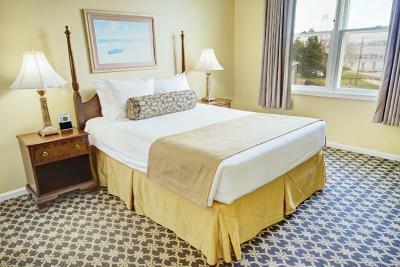 When would you like to stay at Wyndham Bay Voyage Inn? 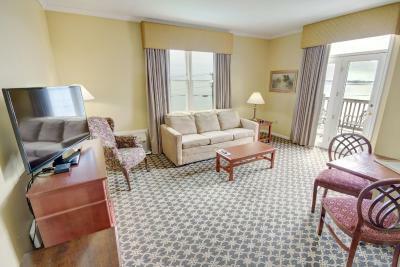 This suite offers 1 sofa bed and 1 large double bed. 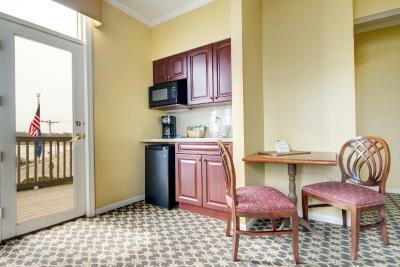 House Rules Wyndham Bay Voyage Inn takes special requests – add in the next step! Wyndham Bay Voyage Inn accepts these cards and reserves the right to temporarily hold an amount prior to arrival. Please note, the elevator will be out of service from November 2018 through January 2019. Despite the room overhaul, the bedroom ceiling was flaking paint onto the floor; it appears there is pre-existing water damage that was not addressed in the renovation. Additionally, we received no housekeeping services during our stay. 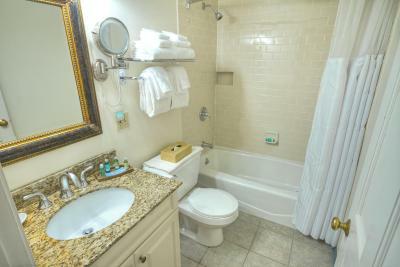 The room was very clean, but fresh towels / shampoo would have been nice. 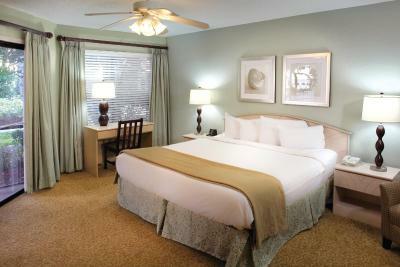 Very clean, spacious room & comfy bed. There were ants in the room. We had bought a bag of sweets from the fudge store which were all beautifully packed. However overnight the bag was full of ants which were coming through from near the window in the room! No daily room cleaning. Towel change only on Tuesdays. An extremely musty smell in the corridors however luckily this smell wasnt there in the room. Was pleasantly surprised by the beautiful room. Lighting could be improved. There are lamps around the sitting but kitchenette could have used better lighting. However, this really did not have a negative impact on our stay. There are no housekeeping services on the weekend?!? Unmade bed and dirty towels were an unexpected disappointment. Check out was a bit early. 11am would be better. The fitness center was dreary and not air conditioned. For my budget, lower rates through booking.com.